"Promote and engage your visitors"
The ability to push certain promotions, and limit others to require action from the customer. The ability to have more than one promotion running at the same time, and customize who sees each promotion by adding rules to fine tune how and when a promotion is shown. Do not plan on going live immediately. There are a LOT of customizations that need to be find tuned prior to taking it live. It also updates somewhat regularly that can cause current promotions to act in unexpected ways, requiring you to stay on top of your promotions and monitoring your site frequently. "JustUno provides an exemplary overlay service"
JustUno is an awesome email capture growth tool. It was very easy to implement and metrics are outstanding. Ability to A/B test and setup unique overlays for specific landing pages was critical. Ran into a minor issue where a tab was appearing on the side of the website for contacts to see when we only wanted the overlay to appear for new visitors. We were able to resolve this by resetting the overlay, but it was troublesome at first. JustUno is more advanced than most overlays and provides various options for triggering and connects with Google Analytics. The overlay is customizable to target new visitors, returning visitors, exiting visitors and has unique settings based on time, % of site viewed, etc. This tool has been highly effective in capturing contacts and giving us the ability to re-market to contacts after they leave the website. "Simple and great app to use on the go!" Really easy to use. Creating and displaying coupon on Justuno only takes us about 10,15 minutes and they work great. we love the rules function they have so that our audience don't get annoyed with seeing the same ads over and over again. We love to use justuno to get more people into our email lists. It has been really helpful on that email list side. Easy and simple to use. The price is very reasonable and it's definitely great for smaller business and e-commerce stores (like us) to use to display coupons and deals. We are a small team with no designers on board, so we really needed something simple and user-friendly that we could just create good banner, graphic coupon and didn't cost us hours to do. Justuno was just the right fit as they provide easy drag and drop function, and great ad placement on the website (desktop AND mobile views). it doesn't annoy our visitors out but also very standout from the websites so the visitors can't miss the deals. 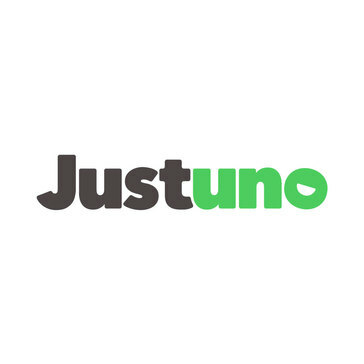 "I have had an amazing experience with Justuno"
I absoloutely love Justuno, if you are looking for something to increase sales via the traffic your website, I would highly reccommend this. I have solved the issue of warm leads. When someone signs up via Justuno (the popup) it allows me to email those people directly, which generates more sales. Easy to use, good functionality. Design features are well thought out. Measurement and reporting is not very robust. This is the case with A/B test reporting especially. Scalable and easy to use site promos and email capture thru modals. We can't change website graphics easily to promote a short sale. Justuno solves that problem. I really like how I can create a pop-up campaign for my website. If I want an "Intent-to-exit" pop-up, it is extremely easy to set up on my page. I also love how I am able to create countdowns for sales. It has definitely increased my email leads. Only thing I have ever found troublesome is sometimes when I create a banner it will look great on preview, but when it goes live it is stretched and warped. It improves our email lead generation. "Easy to get started, more features than the competition"
I like the way I can easily get started with templates, or customize my own promotions. I left Sumo Pro for Justuno, and I would like for Justuno to have some of the basic social share features included with Sumo, so that I don't have to run both. "So Easy for Gating Content with Email!" I had never worked with a content gating platform prior to working with Just Uno and have to say it was a breeze! Getting setup, like any platform can take some time in the beginning. I needed to self educate on the different types of gates, etc but was quickly ramped and ready to set up my first campaign. Easy to create a pop-up; highly customized for design and rules. has some integration that we need. data export is really basic. sometimes you need to double check the design before launch as the actual pop up may look different from the design. There are lots of similar solution out there. Just create a trail and evaluate - see which one is best to your specific needs. Also look for the integrations they povided - some integration is a big plus. "Easy and free app for engaging with customers "
"JustUno is a fun and effective way to create lead generation opportunities. " JustUno's super friendly user interface can have anyone up and running a great lead gen implementation on their website in no time. UAT testing can be tricky if you try it too many times as the cookies created still register even when private browsing or after a hard refresh. You want and need lead generation for your website. JustUno is a top choice, compare it to SumoMe to make your final decision. Optimizing and excelling lead generation. Just the simple task of reminding or giving the option to opt-in is extremely efficient especially after automation. This allows my company to easily make promotional banners and lead capture pop ups with no coding required. I also like the feature that lets the user set rules to only show promotional messages under specific circumstances. The platform for designing promotional pop ups and designating rules is not the most user friendly and can be buggy at times. I’ve learned how to avoid these bugs but there was a learning curve. It’s useful. Not sure if there are better alternatives as it’s the only one we’ve used. It’s so easy to make pop ups without any code and to track conversions and clicks. Easy to use, great customer service. Pop ups and exit offers are quick to set up. "Justuno is great for pop-up execution, poor on pop-up creation and reporting"
I like Justuno's a/b testing capabilities as well its rule defining capabilities. Creating the pop-up design is rather complicated, un-intuitive and hence time consuming through Justuno. Justuno is great platform to use with slightly more experience, when you know what your designs and rules look like exactly. Justuno has definitely helped grow the business by bringing in new/additional consumers to engage with. "Fantastic product, does everything I need it to"
Very easy to implement and use. Very helpful and responsive customer support. Proactive account representatives. The editor interface (where promotions are laid out visually) could be more intuitive. Converting visitors that were intending to leave the site without purchasing, via exit intent popups. * We monitor all Justuno reviews to prevent fraudulent reviews and keep review quality high. We do not post reviews by company employees or direct competitors. Validated reviews require the user to submit a screenshot of the product containing their user ID, in order to verify a user is an actual user of the product. Hi there! Are you looking to implement a solution like Justuno?